I like your podcast, but lately, Sara has been slurring through episodes. Is she OK? PCA's and Vanderpump Dog Gala ******** This episode we talk about Fashion! Sarah's designer sister is in town for Thanksgiving and weighs in on all of the fashion! Super LONG LONG LONG episode for your Thanksgiving drive! Also, Sarah may or may not be having a Scheana moment in this episode. ************************************* Don't forget to RSVP to our viewing party!!!! December 3, 2018 !!!!!!! vanderpumprulesparty@gmail.com Wishing you the BEST Thanksgiving ever. We are so grateful for all of you! Moral Compass Straight to Hell! Hi Guys!!! We are back to talk about Vanderpump Rules social media and sleigh rides! LOL We cover the latest episode of the OC Housewives! Our winners of the giveaway are announced and we get to talk about our latest sponsor- Poshmark! Use our code: VRP Thank you so much for listening! We went to TOM TOM!!!!! We give a full review of everything we drank/ate and saw! It was such a fun night! Special shout out to Logan, our server! He was soooo amazing! Check out our FB Group to see the pics! Jax rants, Mexico & chatting with Bex! New Poems by Sarah and Social Media! Hi Y'all! We are back again w. a new episode! Sarah shares (2) new poems! They are brilliant! The 1st is about Tom Sandoval and the 2nd is about Rachael O'Brien! We get into some random topics and also cover some social media updates! ENJOY! Girls Night In and Social Media Recap! Hi Everyone! We recap our night at Girls Night In on 7/3/18 and talk all about the social media happenings! We also announced the winners of the James Mae T-Shirts! Be sure to catch the password for Annabelle Desisto's Crystal kits! We will be giving away 5! To enter email us at vanderpumprulesparty@gmail.com Or hit us up on any of our social media pages! If you haven't joined our FB Group- you must! We have so much fun! Its private and closed! Insta: vanderpumprulesparty Twitter: vprpartypodcast Thank you! Have a great week! We will be back next week with more updates! Interview with Annabelle Desisto We are sooo excited to share our latest podcast with Annabelle Desisto! We have loved her since she was on Straight up with Stassi and followed her blog and now her podcast - Adderall and Compliments!!! We chat about Southern Charm, The Housewives & Vanderpump Rules!!!!! Social Media for Annabelle: FB Group: Adderall and Compliments Kittens Insta: @annabelledesisto Twitter: @AnnabelleLee417 Website: www.adderallandcompliments.com Thank you so much for listening! We will be back with a new episode this week! ******RETRO Vanderpump Rules! Season 2 Episode 3 ONLY THE LONELY! Hi Guys! Chad is back for a RETRO Vanderpump Rules!!! We talk about the Vanderpump Rules crew heading to Lake Arrowhead for T. Sandy's performance! Jax reveals his Stassi tattoo~! Don't forget we will be releasing a new episode THIS SATURDAY! Hope you all enjoy! Season 6 Highlights! Episode 1-10 Join us as we give our highlights of season 6! 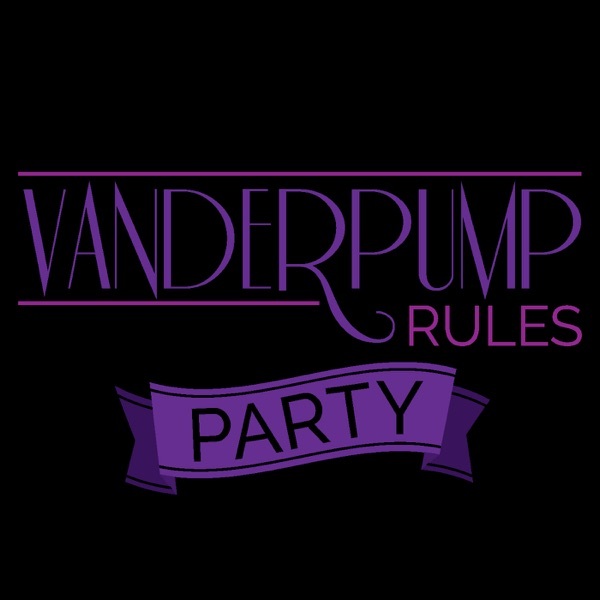 We jump back in and do a review of the season- We def found it interesting seeing the timeline of events~ We are super excited to start planning the 1st annual Vanderpump Rules Party- Party! HAHAHAHAAHA! Hope you guys have the best week ever! xoxo, Hollie and Sarah!